You are here: HomenextPeoplenextPersonal MemoriesnextRecollections of Tony Livermore about the Church of England School. Recollections of Tony Livermore about the Church of England School. 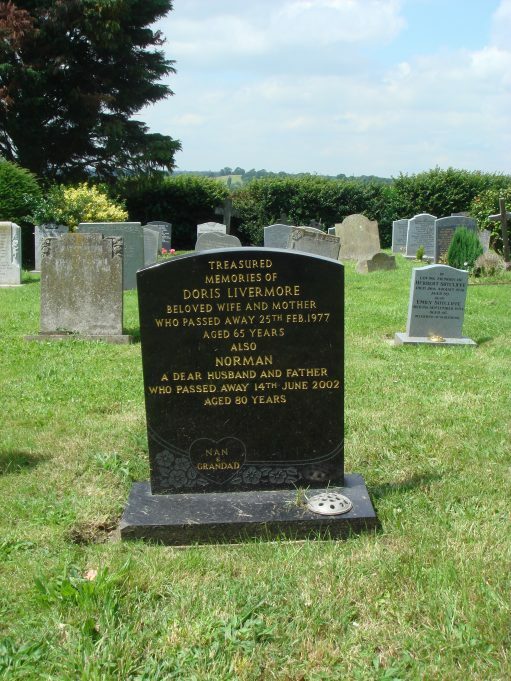 Tony remembers his brother Norman Livermore, who was 10 years his senior and born in 1922, going to the Church School. He would have attended the C of E School from about 1927. When Norman was naughty Miss Mopps, the Head Mistress, would not cane the boys herself but they were sent up to the Rectory to be caned by Rector Ludkin or Luckin. Miss Mopps lived at the School House. When Tony Livermore went to the Church School in about 1936, Archibald Bullock was Head Master. According to the Census of 1911 Archibald had been the Head Teacher of another school in another part of the country and appeared to be lodging, along with his wife Harriet, at the “in-laws”. On the birth of Cyril Bullock in 1922, Archibald’s occupation shown on Cyril’s birth certificate had been School Master (not Head master). He lived at School House, Rayleigh Road, Wickford. 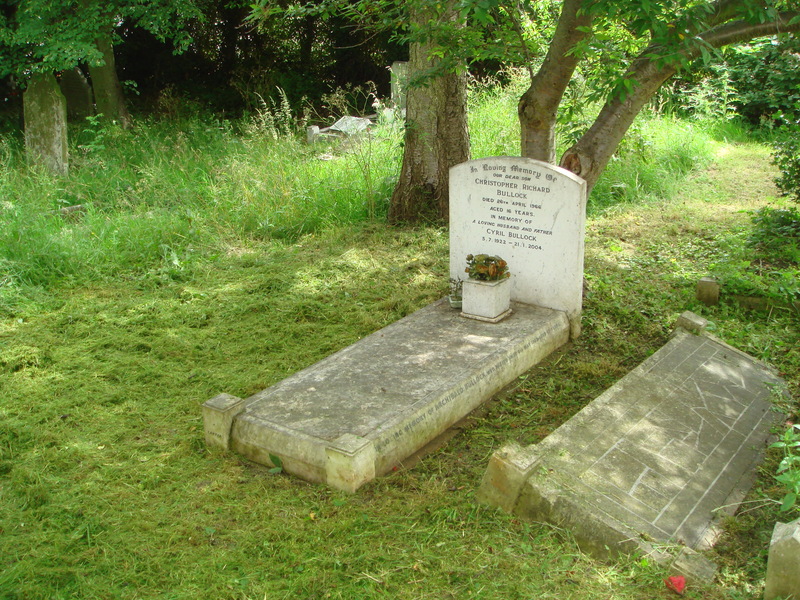 It is thought that he could have been Head Master at Wickford Church of England School from 1928 to 1948. Archibald was famous for his organ playing at the Church (probably St Catherine’s) and for spitting ‘liquorish imps’ at the boys to get their attention. (This is not the first time I have heard this story). Tony said that as one of the bigger school boys, during the weekdays he and others were marched up the hill to pump the organ. The boys would conspire to leave the Head Master just a little short of air as he reached the crescendo in certain pieces of music, much to their amusement and Archibald’s annoyance. They would get their comeuppance the next day at school. Tony remembers that Archibald smoked Gold Flake! Norman Livermore and Cyril Archibald Bullock were both born in 1922 and were life long friends. They went to the Church School together. Tony also told me that Hall’s Corner used to be called Foundry Corner. The junction at Castledon Road and London Road was know as Downham Corner ( I can remember the old bus conductors calling this out) and that Castledon Road was always known as The Downham Road. My grand father R Harris moved to Shotgate 1924. They lived at 16 Fanton Walk; my mother was 13. She married W Saward, lived at 19 Fanton Walk. Does any one remember other names of families at Shotgate? With ref to Bob Croot about buses, I don’t remember any double deckers, only singles. Going to a Wickford school I got on one near the Whalebone pub at Woodham, and can remember one driver asking where to turn in from the London Road. I am sure City owned some of the buses. I too remember Maurice Fountain at school at the Secondary in Market Road when Wickford was a village, and double decker buses brought in pupils from places such as Woodham Ferrers, Hockley, Battlesbridge and many more. Up to 7 or 8 buses, morning and evening. I too was in the choir at St Catherine’s Church. I also remember Dennis Mitcheson. He would have known my brother Maurice who was the same age as Dennis. Unfortunately I think I was the first pupil to be expelled from the C of E school. Mrs Green was the Head at that time.The worst memory was the potato mash called ‘pom’ – ugh. I met a chap whilst working in the 1960s in Basildon on road construction. He told me he used to work in the Forge, where the traffic lights are now. I think his father might have owned it, it his name was Jake Walker, does that ring a bell with anyone? I found memories of Mr. Bullock fascinating. I attended the C of E primary school and was in the choir at St. Catherine’s. At that time Mr. Bullock had given up playing the church organ and Ron Sewell had taken over. 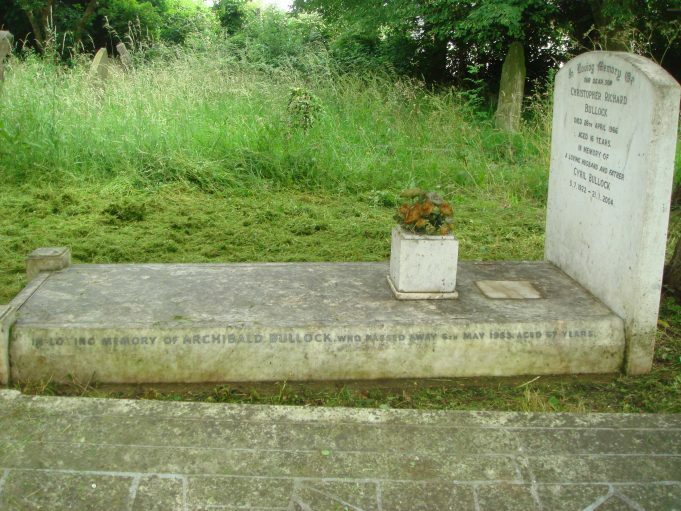 Mr. Bullock had built a complete church organ in the front room of his home and paid me 6p every so often to pump it for him whilst he played. 'Unexploded bomb' dredged from the Crouch in Wickford. Ann Martin's memories of Wickford. Connors of 'Craiglea', 144 Swan Lane. Personal Memories of Wickford in the late 1950s. Pubs, Clubs and people in Wickford (1). Pubs, Clubs and people in Wickford (2). Wed on the Day of the Flood. Wickford Carnival and the Wickford YCs.